Eleven2 provides brilliant web hosting services for your various needs. It excels at shared hosting, reseller hosting, managed VPS and Enterprise servers. 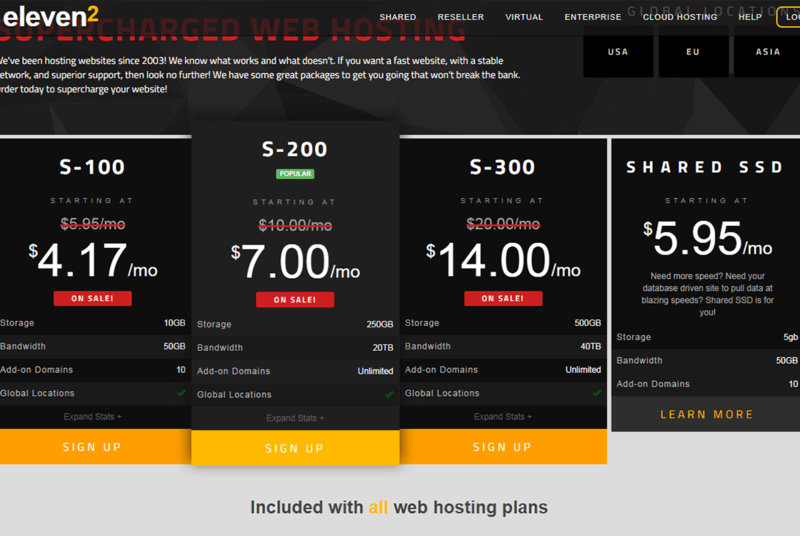 It offers shared web hosting starting from $4.17 per month to Enterprise starting at $199 per month. The hosting services at Eleven2 come with added features such as free transfer, cPanel, and WHM, Script and App Installer, multiple backups and 24/7 support on all 365 days in a year. Are you currently hosting your website with another company? Receiving a subpar service? Move to eleven2 and start being treated like a real person! We help you transfer everything over to us, free of charge with little to no downtime! cPanel & WHM offers you the tools that they need to succeed. cPanel includes a large range of features that allow you to control virtually every aspect of your websites. WHM helps manage the server and every hosting account on the server. Install over 300 scripts and apps instantly with our auto installer. WordPress, AbanteCart, PrestaShop, Drupal, Joomla, Magento, Bootstrap, and phpBB are some of the popular scripts that can be instantly installed on our world-class web hosting platform. Eleven2 prides itself on is the amount of attention we give our servers. Along with Enterprise level hardware and RAID protection, we also plan for worst-case scenarios. We have multiple backup servers that hold multiple backup points of all of your data. 60 Day Money Back Guarantee – At anytime during the first 60 days you can receive a full refund if you’re unhappy with our service. 99.9% Uptime Guarantee – We guarantee your website’s uptime! 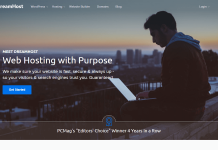 Learn more about Eleven2 WordPress hosting plans. Does Eleven2 offer 100% money back guarantee? 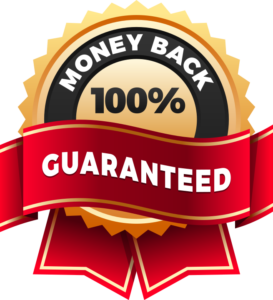 Yes, Eleven2 offers 100% money back guarantee in most of its WordPress hosting plans! Eleven2 WordPress Hosting Reviews by WordPress leaders! Currently, Eleven2 doesn’t offer any discount offers in the present time. In the meantime please check out many exciting WordPress themes, plugins and hosting deals and offers! 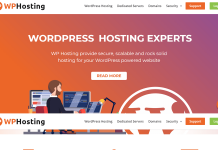 Hey Buddy!, I found this information for you: "Eleven2 – Managed WordPress Hosting". Here is the website link: https://wpallclub.com/hostings/eleven2/. Thank you.